For the most part, you can take a good look at how your cryptocurrencies are doing just by opening up an internet browser. For true investors or multiple token holders, who are doing this full time, this is not the case. People with more than one wallet or digital exchanges account can have a hard time keeping track of all of their online assets. 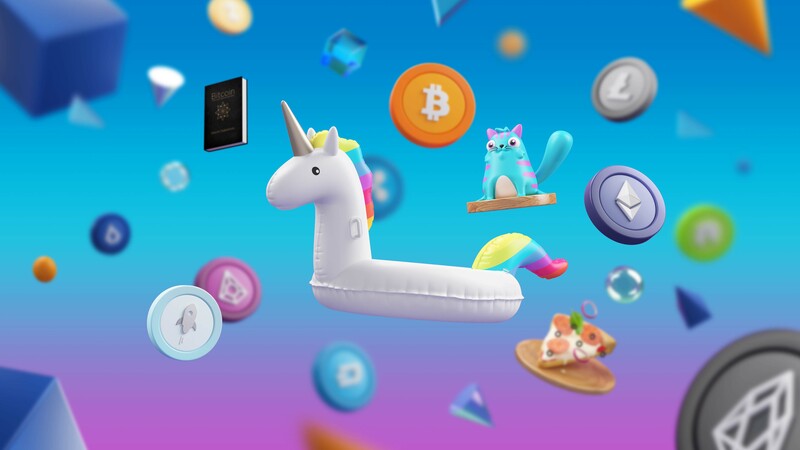 People who trade crypto need a unicorn-type of program that would allow them to better keep an eye on everything that they do crypto-related. The unicorn has now been invented, and its name is Gem. This piece of software has you covered with a unified view over the entirety of your virtual fortune. You can get real-time data about your balances, performances, offline storage facilities you might have like hardware wallets and so on. Gem brings everything you own into one place. With Gem, you can easily connect and also manage everything crypto related. For example, you can have all of your exchange accounts linked together in one app. This is possible via the Gem Exchange Sync, which automatically displays the balances of your holdings for more than 25 exchanges simultaneously. Here’s the list of exchanges Gem is now offering: Bibox, Binance, Bitfinex, Bitflyer, Bitmex, Bitstamp, Bittrex, CEX.io, Coinbase, Coinbase Pro (GDAX), Coinbene, Coinone, Cryptopia, Exmo, Gate.io, Gemini, Hitbtc, Huobi, Kraken, Kucoin, Liqui, Livecoin, Poloniex, Wex, Yobit. More exchanges are added on a monthly basis, so don’t freak out if your favourite is not there yet. It will surely come up soon. When you have all of your exchange data in all place, you can better visualise and predict the fluctuations of the markets, the interests of other buyers and sellers and so on. To keep it short, you can make better, informed investment decisions when everything you have is displayed on one chart. You can really immerse yourself in the bitcoin and other cryptocurrencies economies. You can discover, track and research digital currencies in order to most oftenly make the right investment call. You can also see which virtual coins work best, which will also help you in making the right decision. By having a tool like Gem at hand, you’ll really work more effortlessly and own your online identity and assets. Using Gem, you can better control your virtual money while leaving the headaches aside. Why? Because it’s better having everything in one place, rather than constantly having to check out every single individual account you might have on many exchange website or crypto wallets. You can deposit, send and trade all currencies from one secure, universal wallet, with a key you have complete control over. Everything that you own will be displayed in the wallet, which means you can delete your other apps and make some room on your phone or laptop. When talking about the digital money Gem accepts, you can almost say this app has every single coin on hand. More precisely, Gem supports more than 2.000 digital coins, which can help you discover new projects and communities making the decentralization movement work all over the globe. Research and discover over 2.000 digital assets like Bitcoins, Ethereum, Bitcoin Cash, Ripple, Stellar, Litecoin, Cardano, Monero and so on. Instantly know which of this assets are doing good or bad, which have posted losses or highest gains. Also, track your favourite currencies right in the app, having them one click away at any moment.